GeekLeagueofAmerica.com has placed The Music of the Lord of the Rings Films on their "Ten Great Books About Movies" list, which is a very fine honor indeed! But enough of my hackneyed sales pitch. Big thanks to the Geek League. 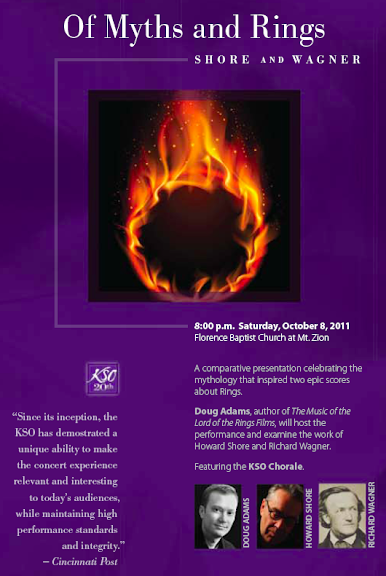 Their Music of LOTR entry is below; you can read their full list right HERE. It saddened me not to include a Lord of the Rings book on my initial draft of this list. There is simply no book available that covers LOTR’s extensive production from beginning to end in a fashion that I recommend. The Extended Edition Blu-ray/DVD collections and Costa Botes’ fly-on-the-wall documentaries really do the best job covering all of it. 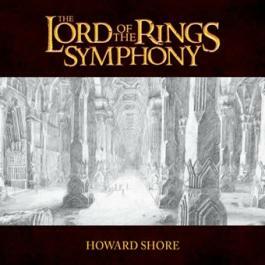 I would be remiss, however, if I didn’t include Doug Adams’ (no, not that Doug Adams) mind-blowingly extensive account of Howard Shore’s scores of the films. Loaded with illustrations from Alan Lee and John Howe, this book covers all three films and the musical themes developed therein. Adams is a musicologist, so this isn’t light reading. It talks about what goes into scoring these films, both from extensive interviews with Howard Shore as well as musical theory, and requires a little music acumen to totally comprehend the finer points of the text. It also comes with an exclusive rarities CD that features original concept recordings and versions of themes that didn’t make it to the big screen. Doug Adams is working on a new book for The Hobbit and like Rinzler’s ROTJ book, my pre-order is ready to go.